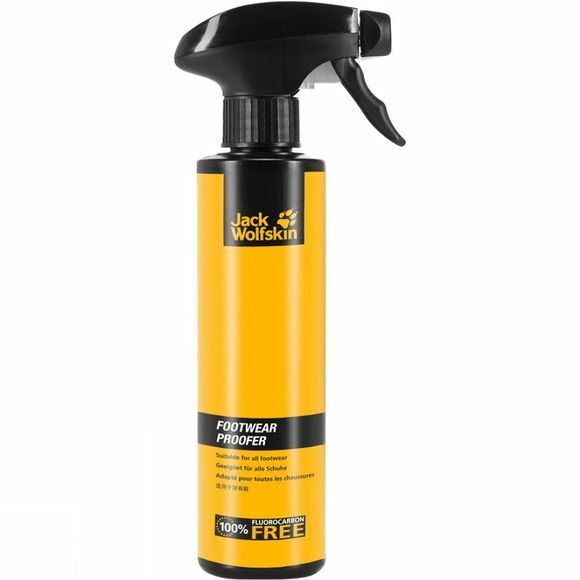 The proofing and care spray frmo Jack Wolfskin is suitable for all types of shoes. It protects against moisture, prevents the leather drying out and maintains the breathability of the functional materials. The ingredients and production process are PFC-free and Bluesign-certified.